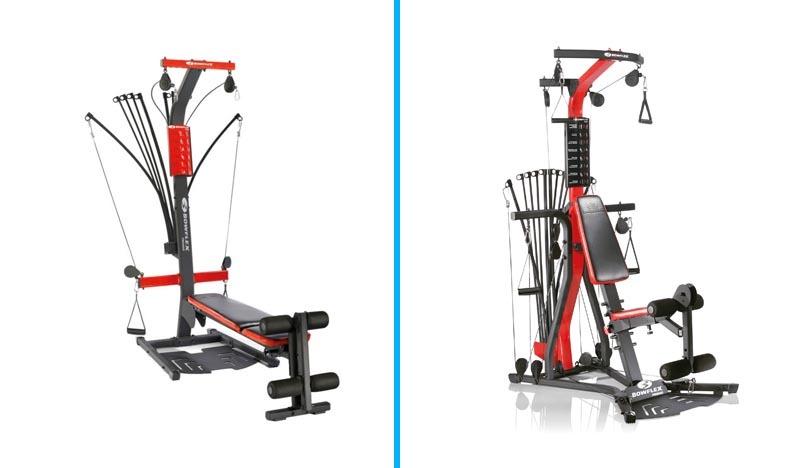 Bowflex PR1000 and PR3000 are two popular models that are part of Bowflex’s home gym equipment line. Both PR1000 and PR3000 have similar characteristics, but there are some differences as well. This article compares the two to help you determine which one is the right choice for your specific needs. 5 Should I Buy the PR1000 or PR3000? 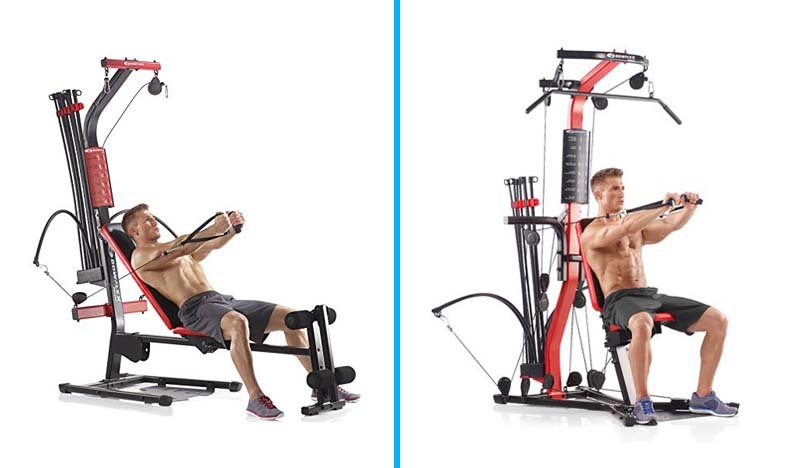 Overall, both PR1000 and PR3000 home gyms deliver a full-body workout. They allow you to get a total body strength at an affordable price in the comfort of your home. Both of these are versatile, well-built, and high-quality home gyms. They offer a wide range of strength exercises, allowing you to strengthen the muscles in your legs, shoulders, back, chest, arms, and abs. Featuring uniquely designed, exclusive Power Rods of Bowflex, both the PR1000 and PR3000 offer the weight and resistance that feel like free weights but without any risk of joint pain/injury or inertia that is usually associated with free weights. While both PR1000 and PR3000 are reliable and high-quality, the PR3000 is a more high-end and advanced model as compared to the PR1000. You can perform a lot more exercises on PR3000 as compared to PR1000. As you would expect, it is also relatively expensive. The number of exercises that you can perform on each one of these machines goes some way in determining the amount of targeted muscle training that you can do. A higher number of exercises means a higher chance of targeted muscle training options, a lower number of exercises means the opposite. With that being said, the Bowflex PR1000 offers about 30 exercises. The PR3000 offers about 50. The official numbers in the product manuals are 24 and 26 respectively, but we have discovered that you can get more than these specified numbers. The PR3000 wins this round, both officially and unofficially. The way the benches on both machines are setup is different. The PR1000 is set up in the traditional horizontal position, but the PR3000 interestingly sits at an incline. Now, the incline position of the PR3000 would arguably provide better resistance training and a better full body workout than the horizontal setup on the PR1000. This is because an incline setup automatically means that more energy and muscle exertion is expended while you work out. With this fact in consideration, we would have to say that the PR3000 serves as a better option here. However, the PR1000’s horizontal setup might be better for users that have issues with their backs. The base resistance of both machines is set at 210lbs. While this is a decent limit to work with, some users might see the need for an upgrade later on. This is where the PR3000 takes initiative. It has the additional option of an upgradable resistance which is missing in the PR1000. Both machines have a starting point of 5lbs resistance, and you can pile on the power rods from this point up to 210lbs depending on your capability. The upgradable feature on the PR3000 undoubtedly gives it the win here though. Both machines offer the same limit in this regard. A maximum weight limit of 300lbs is sort of a standard for many machines of this type, and it is no surprise that it applies here too. The weight limit will be high enough for most users t work with, so there should be no problems with either machine in this regard. As stated earlier, the official numbers of available exercises on the PR1000 and the PR3000 are 24 and 26 respectively. These exercises are divided into muscle groups, so you know exactly which muscle group each exercise targets. The PR1000 has 5 arm exercises, 4 chest exercises, 2 Ab exercises, 3 Back exercises, 4 shoulder exercises and 6 leg exercises. These add up to the 24 total. The PR3000 has 4 arm exercises, 3 chest exercises, 2 An exercises, 4 back exercises, 6 shoulder exercise and 7 leg exercises. There is no winner or loser here, as the information is provided solely for users that intend to focus on particular muscle groups more than others. This categorization lets you know which one of the machines would be more suitable for your targeted muscle training. The amount of space available for use should be an essential consideration if you’re trying to choose between this two. It would be sensible to make sure that the space available at the intended resting place of the machine is large enough to contain or store it. The PR1000 has dimensions of 103″ length, 80″ width and 82″ height. The PR3000 has dimensions of 95″ length, 78″ width and 83″ height. This information suggests that the PR1000 is a slightly bigger machine than its counterpart and would require a bit more space. The PR3000 manages space slightly better than its counterpart, so it scrapes a win here. Warranty is a crucial consideration when purchasing any fitness equipment. It gives the user some level of insurance and reassurance that their investment is safe. The warranty placed on each machine is divided into three parts: Frame, Power rods, and Parts. The PR1000 has a one-year warranty for its frame, five years for its power rods and sixty days for its parts. On the flip side, the PR3000 has a one-year warranty for its frame, seven years for its power rods and sixty days for its parts. Again, the PR3000 edges its counterpart here with a longer warranty for its power rods. Both PR1000 and PR3000 are high-quality home gym equipment. 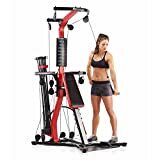 Bowflex has satisfied numerous customers with them. Reviews and comments from customers indicate that customers who purchased PR1000 or PR3000 are quite satisfied with the performance and reliability. Customers have given positive reviews about PR1000 on Amazon. Not only are they very satisfied with the delivery and packaging, but their overall experience in exercising with PR1000 is pretty fun-filled and smooth. Nearly 90% reviews on Amazon regarding PR1000 are 5 stars. The majority of users have endorsed that PR1000 is great for the price. They also appreciated its sturdiness and material. Only a handful of customers have issues with PR1000’s maximum weight that can only reach 210 lbs. According to them, this maximum limit is not much for serious bodybuilders and weightlifters. The overall verdict of customers is that the PR3000 is a very good one-time investment. They think that PR3000 home gym is ideal for those who are highly motivated to keep themselves in shape. Most customers gave positive reviews and said that this is one perfect machine. Not only does it allow a variety of workouts, it also takes less space. A very few fitness enthusiasts complained that PR3000 doesn’t have a lat bar option. Some others didn’t like the complicated warranty structure of PR3000. But even those serious gym freaks believe that the cons of PR3000 are outweighed by its numerous benefits. Price – The product is relatively cheap and should fit right into the budgets of a good number of users. Cardio Row – We like the addition of the rowing station with the foldable rowing machine rail in this model. It provides the option to add a cardio workout to your strength training. Compact design – If you have a small workout space, you will appreciate the compact design on this model especially relative to similar products. Upgradable Resistance – The manufacturer’s inclusion of this feature shows a willingness to help the users reach new levels of working out. The standard resistance is good enough, but the upgradable feature will be handy for power users. A high number of exercises – Up to 50 exercises! It’s great, really. The high number offers more variety to your workout, ensuring that it remains challenging for you. Incline – The incline bench makes it easier for the user to perform lower and upper body exercises and generally offers better resistance training than the traditional horizontal bench. The exclusion of the cardio row is surprising, especially because it was present in the older PR1000 model. Suggest reading: Which muscles are built by swimming? Should I Buy the PR1000 or PR3000? You’re working with an insufficient budget. You would like the additional cardio workout. You have back problems that may get in the way of a workout on an incline bench. You want the high number of additional exercises. You want an upgradable resistance. You want the better warranty. Choosing the right home gym equipment is essential. 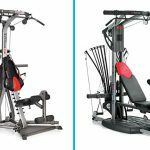 Bowflex PR1000 and PR3000 are both great options. Beginners and intermediate users may prefer the PR1000 because not only is it less expensive, it also offers plenty of resistance and exercises. The advanced users will love the PR3000 because they will have relatively more workout options.